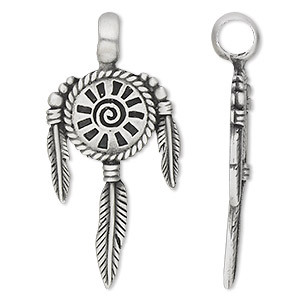 Pendant, pewter (tin-based alloy), 58x20mm single-sided mandala with Kokopelli. Sold individually. Item Number: H20-1211JC Have a question about this item? 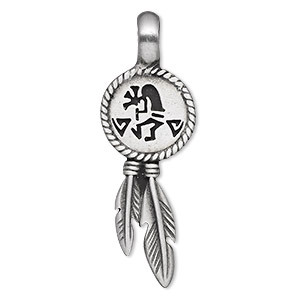 Resembling the traditional Native American mandala, this round pewter (tin-based alloy) pendant is embellished with a Kokopelli design. Ready to wear--just add chain or cord. Large bail allows for multiple strands of beading wire, chain or cord. Design on one side. 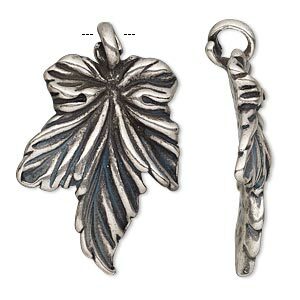 Pendant, antiqued silver-plated pewter (tin-based alloy), 37.5x24.5mm single-sided leaf. Sold individually. 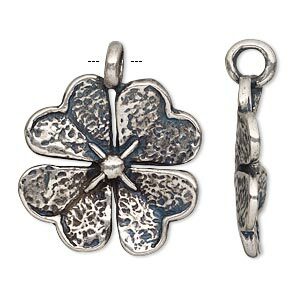 Pendant, antiqued silver-plated pewter (tin-based alloy), 31.5x26mm single-sided 4-leaf clover. Sold individually. 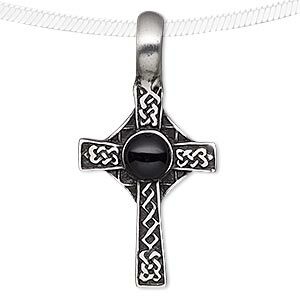 Pendant, acrylic and antiqued pewter (tin-based alloy), black, 46x23mm Celtic cross. Sold individually. 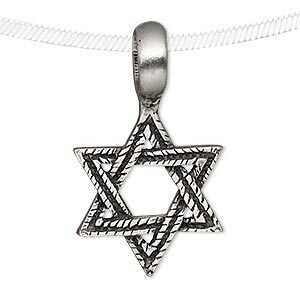 Pendant, antiqued pewter (tin-based alloy), 38x22mm Star of David. Sold individually. 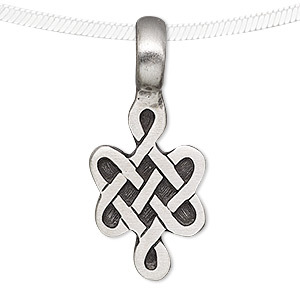 Pendant, antiqued pewter (tin-based alloy), 39x17mm Celtic knot. Sold individually. 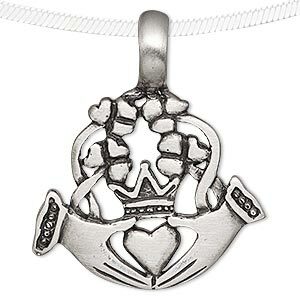 Pendant, antiqued pewter (tin-based alloy), 42x35mm Claddagh. Sold individually. 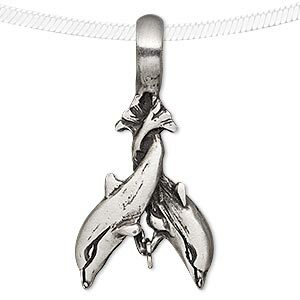 Pendant, antiqued pewter (tin-based alloy), 45x22mm crossing dolphins with 5mm jump ring. Sold individually. 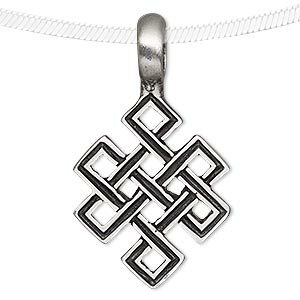 Pendant, antiqued pewter (tin-based alloy), 45x25mm knot. Sold individually. 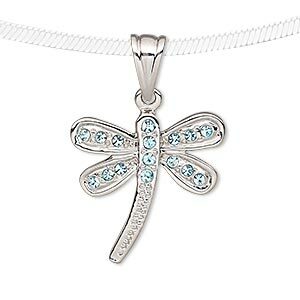 Pendant, cubic zirconia and silver-plated pewter (tin-based alloy), blue, 23x22mm dragonfly. Sold individually.